Here our offer is simple; we provide a professionally run bar for your event, for free, wherever you are at absolutly great value for money prices..
You may be having a wedding , birthday party , corporate event or just a get together we are happy to provide bar facilities for you and we don’t charge you a penny. We liaise with your local Licensing Department to submit an application to sell alcohol at your event, which we also pay for. We will also communicate with your venue of choice to ensure any in-house rules are adhered to. If you have any special requests or requirements we’re always more than happy to accommodate, whether it be ensuring guests are treated to a chilled glass of bubbly on arrival, or you wish a particular spirit or draught product stocked, we’ll happily ensure every detail is taken care of. Having a party? 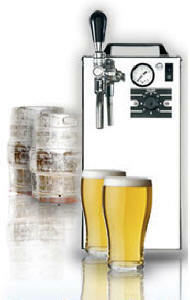 Why bother with cans when you can have your very own perfectly chilled draught beer on tap.